Ain't no way in hell fool!!! Go to your local high school and take a basic auto shop class. Maybe you can learn the difference between gasoline and diesel engines. It would be difficult to go from diesel to gas. You would need sparkignition, a different carburation system, lowered compression, and a differentcam since the valve duration is so different. Most propane engines start as gasoline, not diesel. What I did on my small diesel was to extend the exhaust pipe about another 4 feet up into the air using thin-walled steel tubing....OK, OK, I'll confessthat it was actually the long chrome plated tube off of my wife's old vacuumcleaner. I'll bet you already own one! Just the right size and weight. I paidguy at the muffler shop ten bucks to make me an adapter piece which fits ontothe stock muffler and them the extender pipe slides over it. Hose clamps providesufficient rigidity. Now my exhaust gets thrown far above my head and I don'thave to smell it anymore. The stock unit was right at eye level.What a truly dumb design that was! .............Roger L.
Lee S. GROW UP! There is absolutely no reason for that kind of attitude. Couldn't have said it better myself Norman. Seems to me LEE should be the onevisiting his local high school,& take the "basic 7th grade" English class. Then, then sign up for the Army to learn a little respect & a few manners..OK LEE, Lets lets show all the boys & girls how to be grown-ups...Follow along.Casey,You didn't mention the make or model of your compact, nor did you mention how many hours have been spun on the meter. If your compact has quite a few hours on the meter,and you continue to see smokeafter initial start-up, you may consider having a tune-up. Secondly, try premium Diesel if it is available in your area.Hopefully you haven't been using the "cheap" fuel, that is available at certain stations.This cheap fuel will cost you more in the long run, and IMHO tends to smoke/smell more. Even if a PROP Conversion kit for a diesel existed, I could not imagine spending the money for what it would probably cost. Roger mentioned an inexpensive,do it yourself idea for very little $.Its worth a try.. Thanks for the responses. 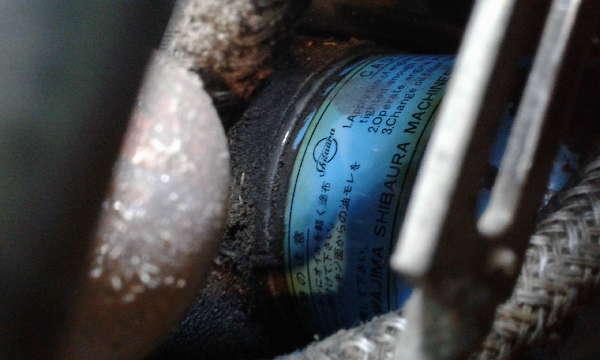 My current tractor is a Yanmar 155Dwith the side exhaust. It has about 800 hours and produces almostno visible smoke when warmed up. My place is in a canyon which gets swirling winds, so I find that even with tractors with extended exhaust pipes, I end up breathing a lot of diesel fumes.Every since I was a little kid and used to get very car sick whenfollowing diesel trucks, diesel fumes and I have not gotten along very well. Also, the recent classification by the EPA of the particulatesof diesel smoke as a known carcinogen do nothing to increase my desireto inhale diesel smoke. This 15hp Yanmar is under powered for my needs and I need to upgrade.As a friend and I buried his full size Farmall tractor up to the rearaxle when trying to snake logs out of his wood lot in damp conditions,I would prefer a 4wd machine but want something relatively compact.Thus my request for any information on used gas powered 4wd tractorsin the mid 20hp range. I have always liked propane power, so I wouldconsider converting the gas engine, although I assume that it would probably not be cost effective to do so. An electric tractor wouldn't stink, but also may not suit your needs. Hey Casey what an educational reply ....anyway I'll stick with what you said.